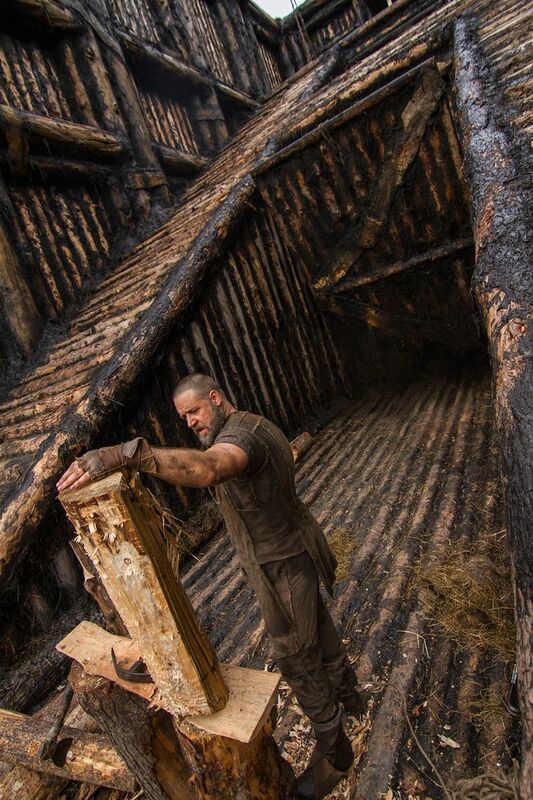 The first official image from Darren Aronofsky‘s Noah has gone online. The biblical epic stars Russell Crowe as the eponymous flood-avoider, and the impressive cast also includes Emma Watson, Jennifer Connelly, Logan Lerman, Douglas Booth, Ray Winstone, Anthony Hopkins, Kevin Durand Martin Csokas, Jóhannes Haukur Jóhannesson, Arnar Dan, and Mark Margolis. Aronofsky previously tweeted a picture of the arc under construction, and this first image from the film doesn’t hold any major surprises. However, while the hair, make-up, and the costume are what you’d expect for the character, it would be a mistake to think that Aronofsky has a run-of-the-mill biblical epic in store. Aronofsky takes big chances, and that’s why he’s one of the best directors working today.